I want to share with you ladies about the brush set that I recently started using and I absolutely love it. It’s from a new brand called L.A.B 2. 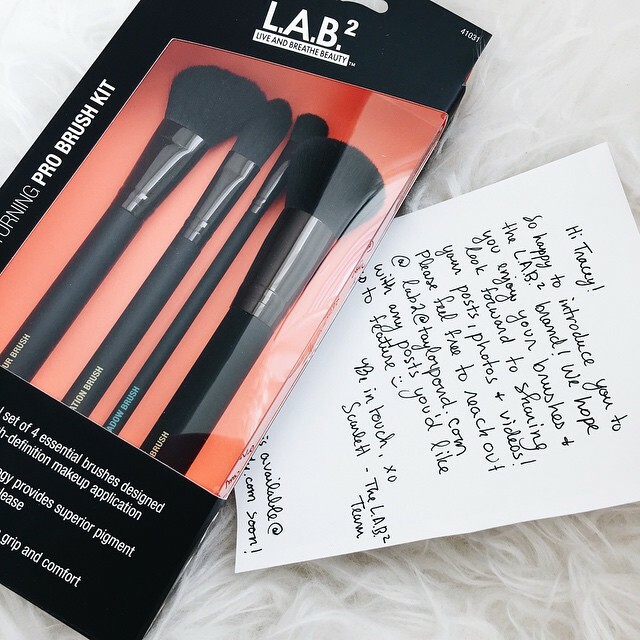 You can follow them on Instagram @lab2beauty to check out their giveaways and updates on new exciting products. So the kit that I got from L.A.B2 is called I’m turning Pro Brush Kit. I believe they are also available very soon at Walmart at a very affordable price. You can check out the kit HERE. So I received this package in the mail about 2 months ago but I kept pushing back my review on it for some reasons and I finally got to try the brushes recently and I have to say I was impressed with the quality of the brushes. They look pretty, simple and chic. It would have been a plus if they comes with a case as well. The Pro Kit comes with 4 different kind of brushes as you can see. It comes with one Buffing Brush, one Foundation Brush, one Contouring Brush and one Eyeshadow Brush. 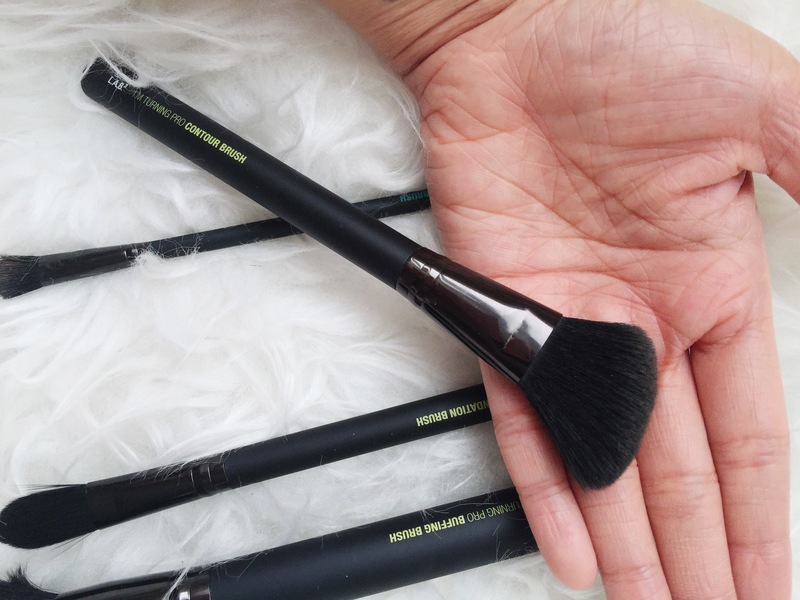 To be honest, when I first saw the kit, I was a bit hesitant to try them out because I am extremely picky when it comes to brushes but after I tried them out, I was impressed. The 4 brushes make up a great brush kit for anyone who needs only a few essential brushes for your face. My favourite one so far is the Contouring Brush. 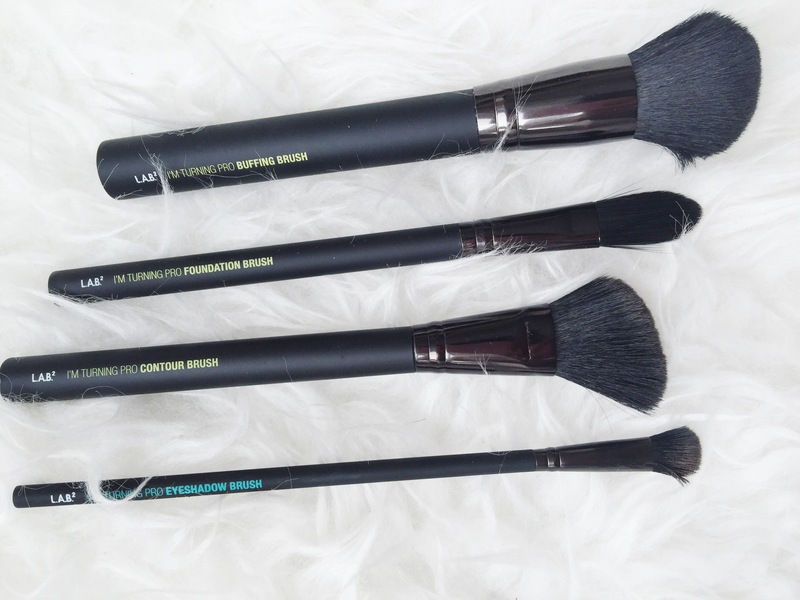 L.A.B 2 Contouring Brush comes in a little smaller size than the regular contouring brush that you see from other brands and not as soft as other brands but I actually like that because it gives you better control when contouring. Especially when you are not a professional make up artist like me and just are new when it comes to contouring or brush techniques. I checked out their website and I don’t think they have the Contouring Brush sold separately so you would have to purchase the kit if you want the Contouring Brush. I would totally recommending it because the kit is very affordable and you will also find that the rest of the brushes do their job pretty well. On the scale from 0 to 5, I give this Pro Kit a 4.